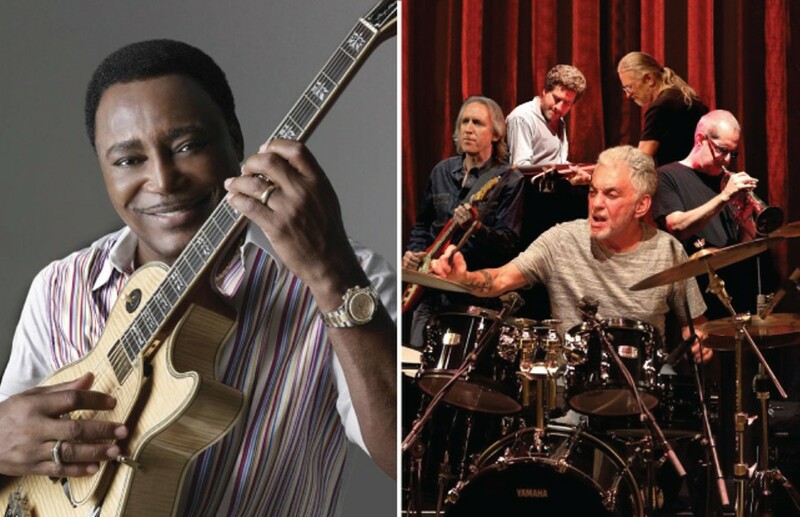 PHOTOS PROVIDED George Benson and Steve Gadd Band are the first headliners announced for the 2019 CGI Rochester International Jazz Festival. The CGI Rochester International Jazz Festival has named the first headliners for its 18th iteration, which takes place June 21 through 29. The Steve Gadd Band will play on Friday, June 21, and George Benson will perform on Thursday, June 27. Both concerts will be in Kodak Hall at Eastman Theatre , at 8 p.m.
Rochester Music Hall of Famer and Grammy-nominated drummer Steve Gadd has had a prolific career in popular music, having collaborated with such influential and wide-ranging artists as Chick Corea, Paul Simon, Steely Dan, Aretha Franklin, Frank Sinatra, and Carly Simon. Pittsburgh native and jazz guitarist George Benson has been making waves since the 1960's. Since that time, he has won 10 Grammy Awards, worked with the likes of Miles Davis and Quincy Jones, and has become an NEA Jazz Master. Tickets for the Steve Gadd Band and George Benson concerts go on sale at a href="http://rochesterjazz.com/" target="_blank">rochesterjazz.com on Friday, December 7, 10 a.m.